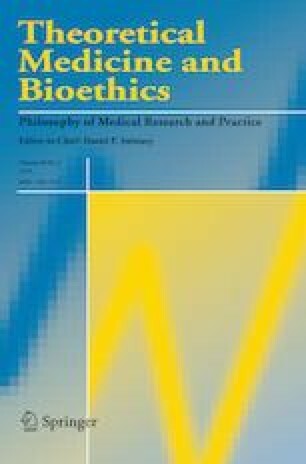 Virtue theory in philosophical bioethics has influenced clinical ethics with depictions of the virtuous doctor or nurse. Comparatively little has been done with the concept of the virtuous patient, however. Bioethicists should correct the asymmetry in virtue theory between physician virtues and patient virtues in a way that provides a practical theory for the new patient-centered medicine—something clinicians and administrators can take seriously. I wish to thank the Blessing Hospital Ethics Committee and Jeri Conboy, clinical ethicist, for answering my questions about the duties and virtues of patients and generally making me a more practical ethicist. This paper started as a question from nursing students at Blessing-Rieman College of Nursing, and I am indebted to BRCN and Quincy University for providing me such great students on which to practice. Hardy, Pip. 2004. The Expert Patient Programme: A critical review. Pilgrim Projects. www.pilgrimprojects.co.uk/papers/epp_msc.pdf. Accessed March 8, 2019. American Medical Association. 2016. AMA Code of Medical Ethics. https://www.ama-assn.org/sites/ama-assn.org/files/corp/media-browser/principles-of-medical-ethics.pdf. Accessed March 8, 2019.